Andrew buys books and videos in a store. 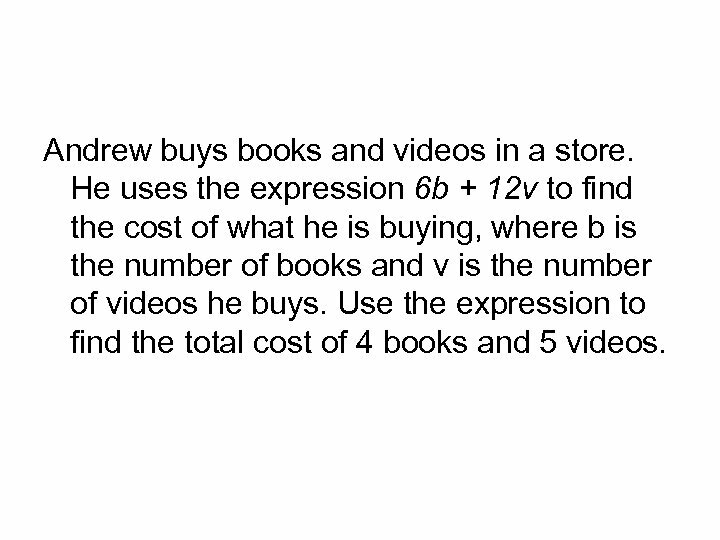 He uses the expression 6 b + 12 v to find the cost of what he is buying, where b is the number of books and v is the number of videos he buys. 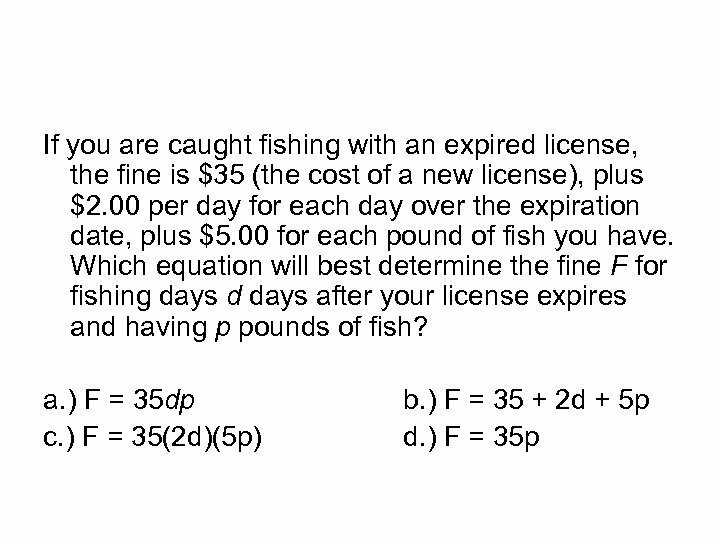 Use the expression to find the total cost of 4 books and 5 videos. 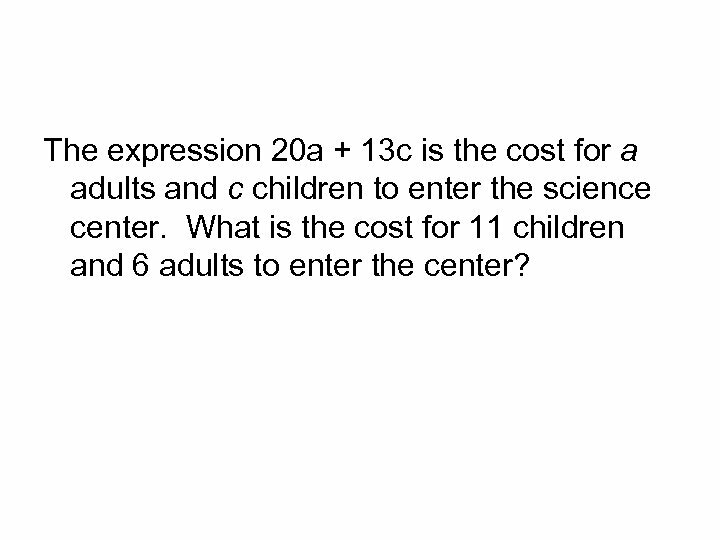 The expression 20 a + 13 c is the cost for a adults and c children to enter the science center. What is the cost for 11 children and 6 adults to enter the center? 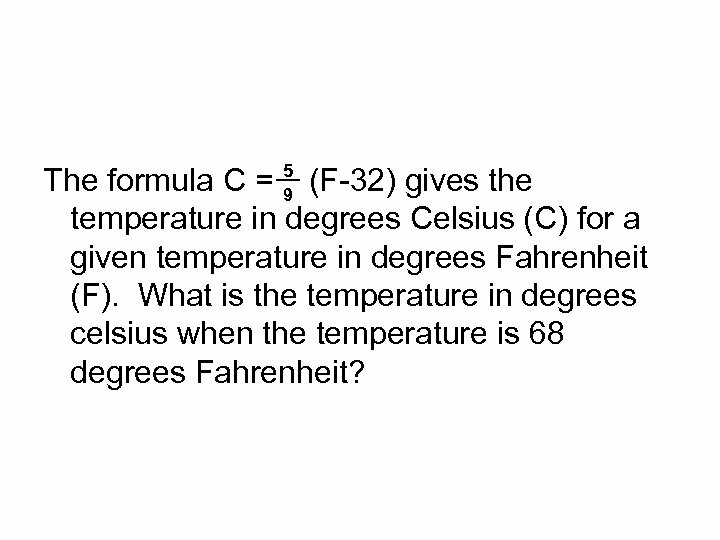 The formula C = 5 (F-32) gives the 9 temperature in degrees Celsius (C) for a given temperature in degrees Fahrenheit (F). What is the temperature in degrees celsius when the temperature is 68 degrees Fahrenheit? Rudy is driving to his grandmother’s house. 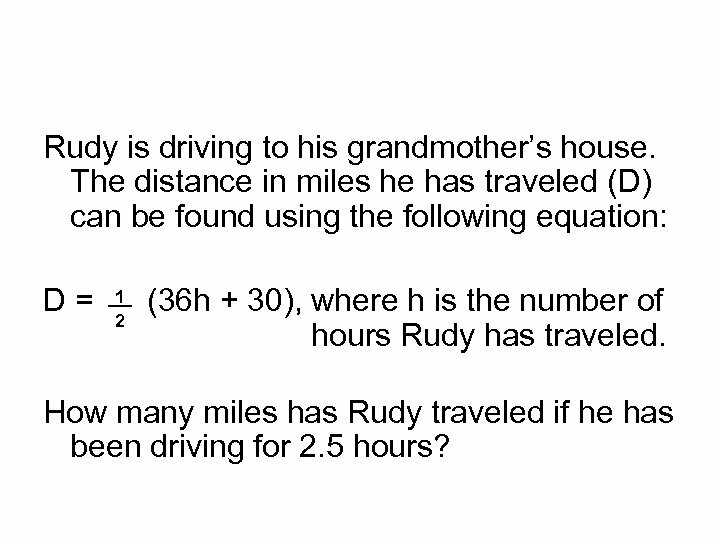 The distance in miles he has traveled (D) can be found using the following equation: D= 1 2 (36 h + 30), where h is the number of hours Rudy has traveled. How many miles has Rudy traveled if he has been driving for 2. 5 hours? Devon drops a ping pong ball out of a helicopter. 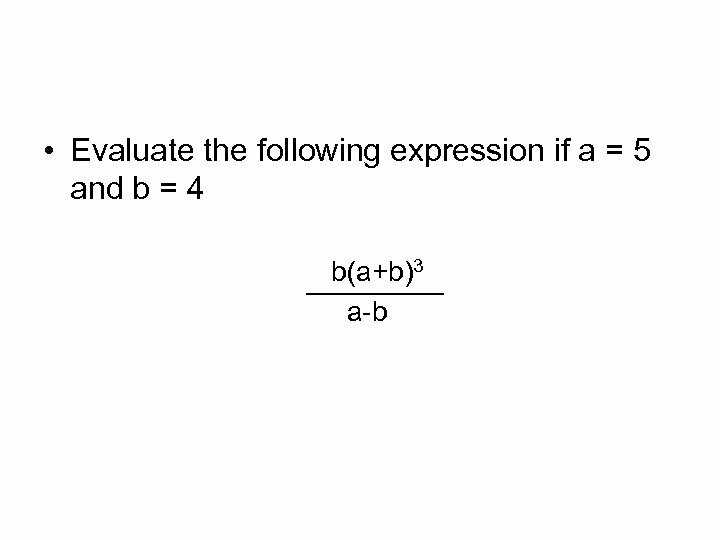 The equation that describes its height is h(t) = -4. 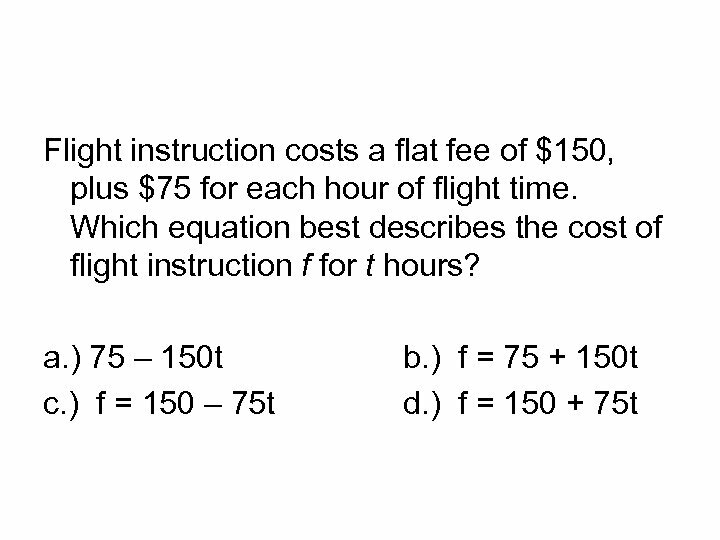 9 t 2 + 500 where t is the time in seconds and h is the height above the ground in meters. 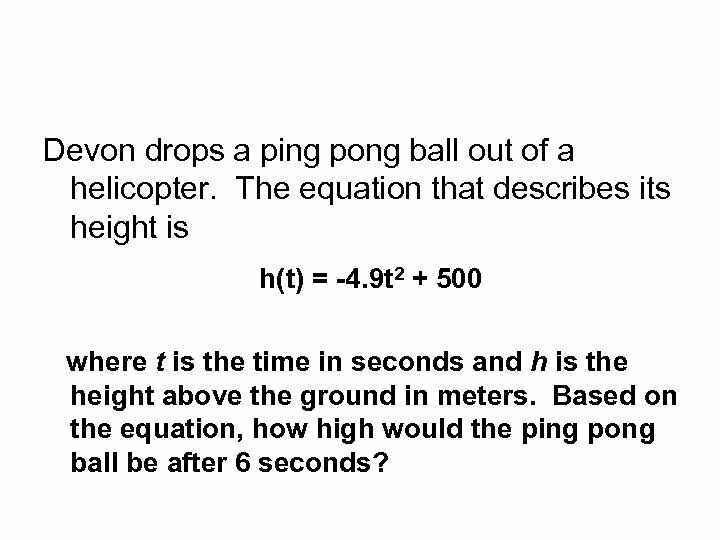 Based on the equation, how high would the ping pong ball be after 6 seconds? 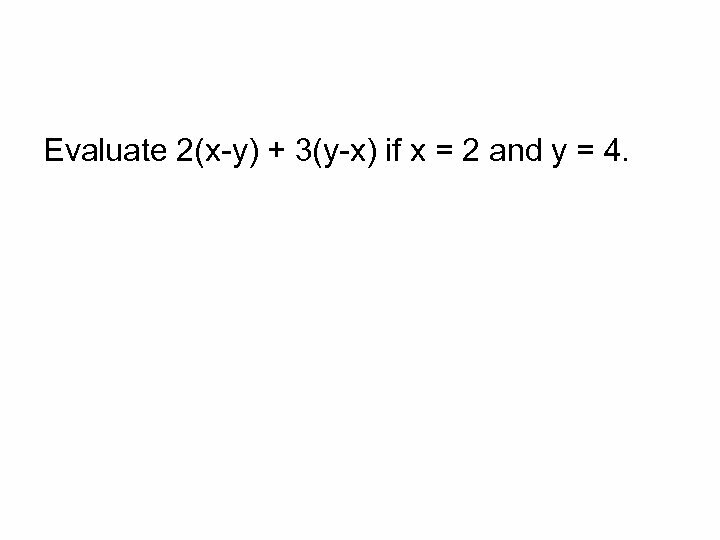 Evaluate 2(x-y) + 3(y-x) if x = 2 and y = 4.